One of this country’s most distinguished poets, Graham has won a whole spate of significant literary honors including the 1996 Pulitzer Prize in Poetry for The Dream of the Unified Field: Selected Poems 1974–1994. From the New World includes new work as well as poems drawn from the following earlier collections: Hybrids of Plants and of Ghosts, Erosion, The End of Beauty, Region of Unlikeness, Materialism, The Errancy, Swarm, Never, Overlord, Sea Change, and PLACE. This collection is a daunting evocation and presentation of Graham’s world—a poetic world that is allowed in this ample volume the space to breathe, become, fulfill—a promise of everything the human imagination can muster, giving hints along the way of even more possibilities. In the repeated unfoldings of her imagination, in her insistent connectedness with the natural world, her identifications of philosophical, psychological, and scientific rootedness as relentless as the D-Day invasion that she addresses in the poems from Overlord, Graham probes the world of the individual in a new century, in a new time, wrestling with new demands on external and internal resources. Nature is Graham’s metaphor of choice for translating—and transliterating—history, philosophy, lyrical mysticism, and personal experience. In the poem, “The Geese,” from Hybrids of Plants and of Ghosts, for example, she observes a flock of geese overflying her home and writes, “We live beneath these geese/as if beneath the passage of time,” moving smoothly in this instance from observation to symbol-making, in the course of which sensing somehow our human way in the world. “Passion,” writes Ms. Graham in “I Watched a Snake” (from Erosion), “is work/that retrieves us,/lost stitches. It makes a pattern of us,” in this instance, reworking the human being into a self-reflexive metaphor. In addition to her nature poems, there is an impressive series of ekphrastic poems (poems focusing on works of art) in the Erosion section. 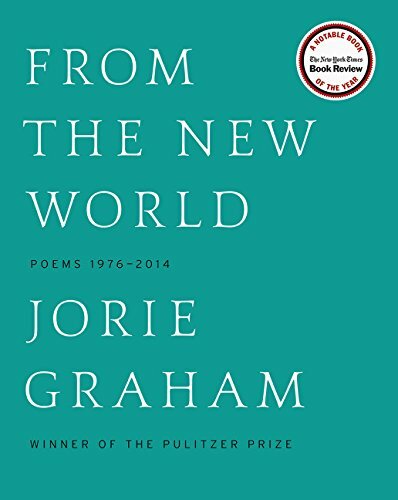 Throughout all of these poems, Graham applies her keen aesthetic sensitivity over a broad range of disciplines, effortlessly exploring, investigating, penetrating, and re-synthesizing these materials into a vision uniquely her own. There is overwhelming honesty in this work, honesty in deference always to the truly observed, to the hard work of contemplation, and, for the uninitiated, a welcome to the broad spectrum of Graham’s poetics and its byways. There is the conventional and there is the unconventional, always projected in unusual ways and left for the reader to decipher, to enjoy, or to puzzle over, but finally, given the close attention of deep-reading, to love. Place, the natural world, and most especially, the role of birds in the natural world are essential themes and images in this collection. Graham’s use of birds as image and symbol is close to universal in her poems. The images are not always flight images, but there is always the implied capacity for flight. We are here, “among the birds arranging and rearranging the shape of/the delay,” Graham writes in “Noli Me Tangere” from The End of Beauty. Birds, in their motion and their stillness, in their flight, arrange and rearrange form, arrange and rearrange the aesthetic of these poems. Rearranging form is the way to work and weave through these challenging texts, to get to the pith in all its permutations, the way to prepare for the journey, for foray after foray through metaphorical door after door leading eventually to the mysterious inner chambers of Graham’s complex poetry. Because, for this poet, metaphor is a kind of prayer that must be mastered and transcended, a powerful prayer to be approached with caution so as : “. . . never to be/emptied by the wound of meaning./The gash of likeness. The stump interpretation./Spelled from the living world.” (“Dusk Shore Prayer” from Never). Be prepared for the labors ahead, for this volume is not an easy read, but a call, a quickening of consciousness, a new way of attending to the world—the meanings and workings, for example, of morning birds in the lawn shrubbery—what nature gives and demands, plus a philosophical assessment to adapt to the larger world. The challenges of Graham’s work are many, but none perhaps more evident than the breadth and variation of her poetic line and its influence on how the poetry is created, how it is or is not resolved. A facility for poetic calisthenics is a valuable tool in pulling meaning from some of the more complex passages. Patience is the greatest asset in assessing any poetry, most especially this work. There is value in withholding creative conclusions vis-à-vis passages, even poems, until fuller pictures (or pictorials) are elucidated. Allow for the rounding of new thought—for the room necessary for such processes to occur, unbound by tradition or traditional presentations. Graham is a poet of depth and complexity; she makes repeated appeals to the reader’s conscious and subconscious. She sometimes furnishes numbered sections and other devices to order the work on the page for ease of reflection and for the coalescing of thought. Followers of Graham might be somewhat disappointed that there is a paucity of new work in this volume, but what a feast it is to see so much of value brought together in a carefully designed configuration—not an easy read, but certainly a memorable one.